Laura, thank you so much for sharing my new book "I Know His Name" with your friends and for sharing one of the magnificent names of God! 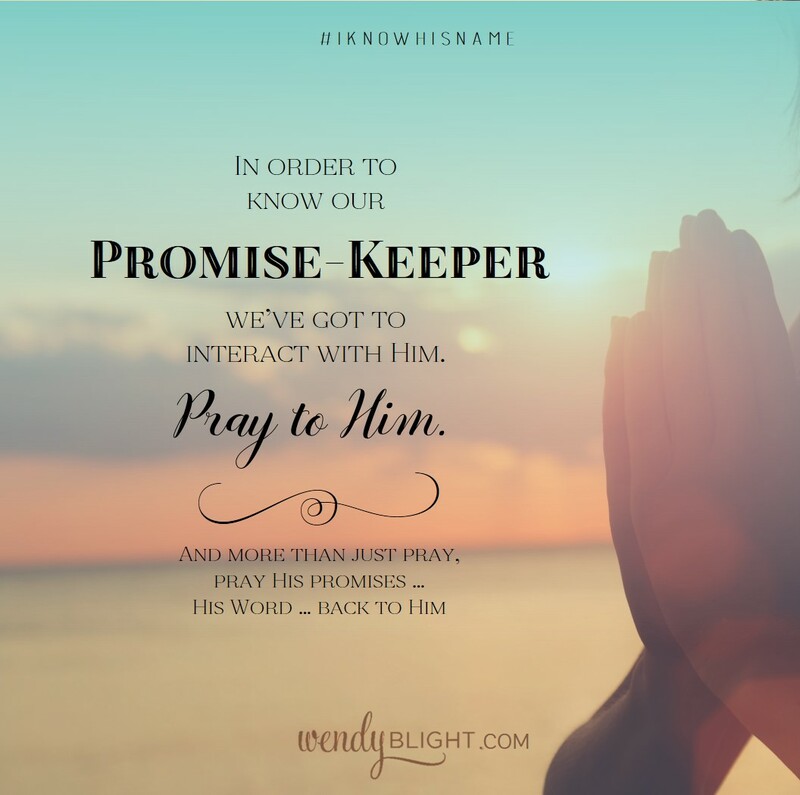 Praying meeting Him today as their Promise-Keeper will reassure them of God's faithfulness in a very real and personal way!! I'm so blessed by your words and your heart for God Wendy! I pray God's blessings and favor over you. He truly is El Roi! Even though, at the time, you did not see Him, He was at work in your life. What a gift to meet this woman years later! I agree. It was such a gift for Wendy to meet this woman. Loved the message she shared with us. This is such a powerful testimony Wendy. Thank you so much for sharing it here Laura. It has truly blessed me.